This image from the APEX telescope, of part of the Taurus Molecular Cloud, shows a sinuous filament of cosmic dust more than ten light-years long. In it, newborn stars are hidden, and dense clouds of gas are on the verge of collapsing to form yet more stars. 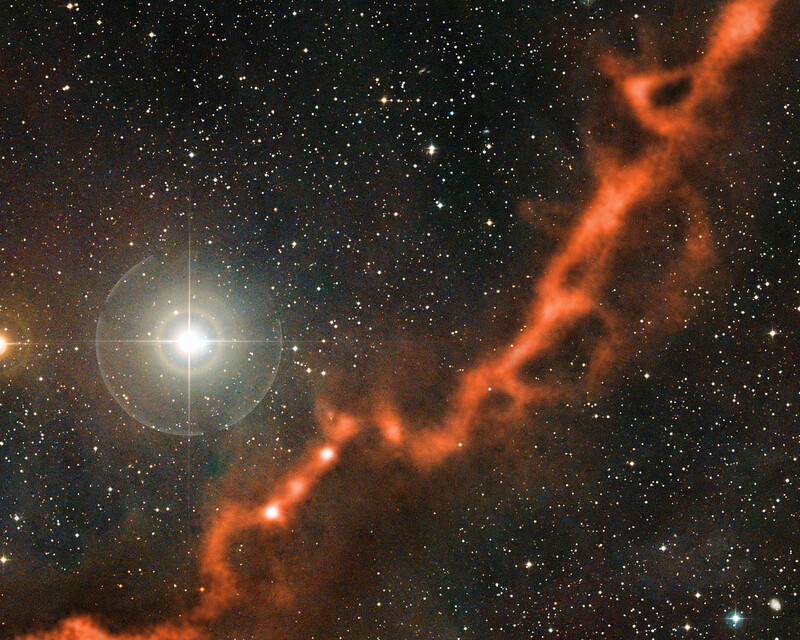 The cosmic dust grains are so cold that observations at submillimetre wavelengths, such as these made by the LABOCA camera on APEX, are needed to detect their faint glow. 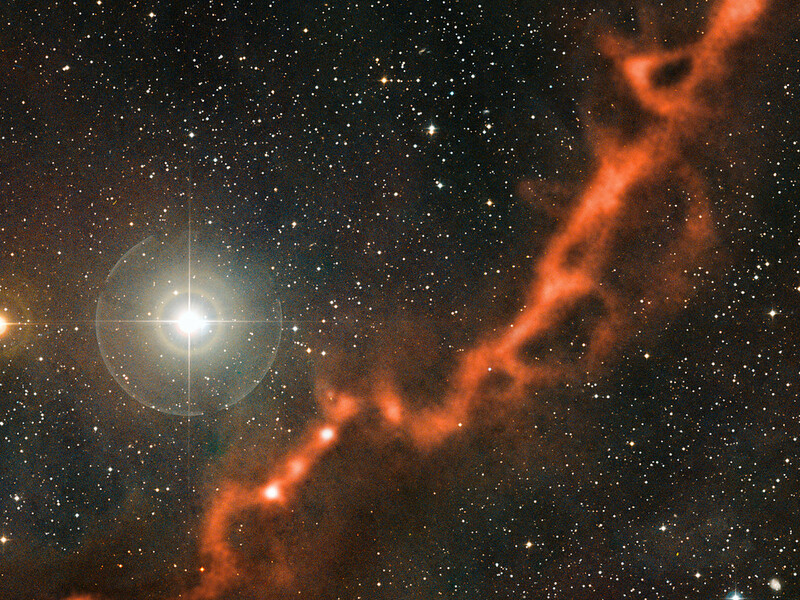 This image shows two regions in the cloud: the upper-right part of the filament shown here is Barnard 211, while the lower-left part is Barnard 213. 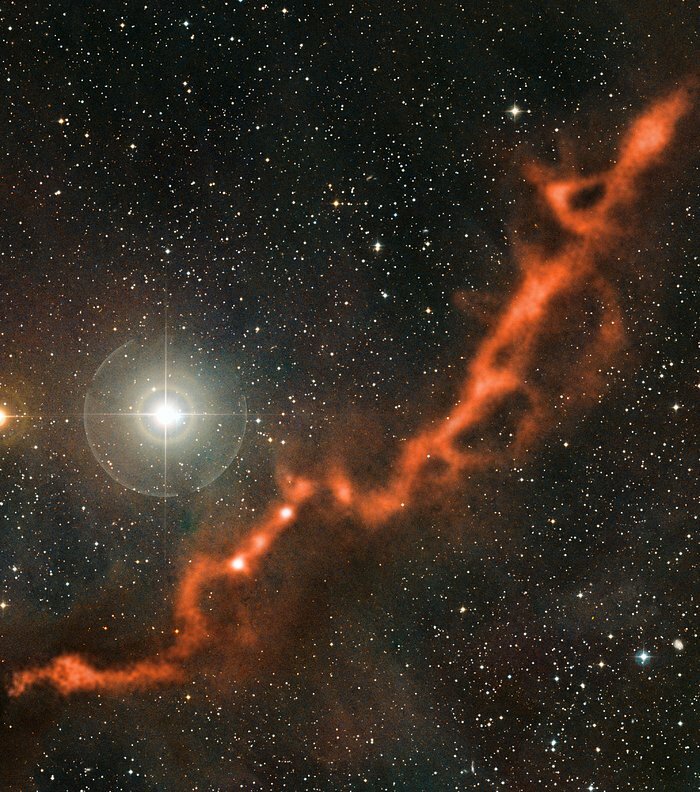 The submillimetre-wavelength observations from the LABOCA camera on APEX, which reveal the heat glow of the cosmic dust grains, are shown here in orange tones. They are superimposed on a visible-light image of the region, which shows the rich background of stars. 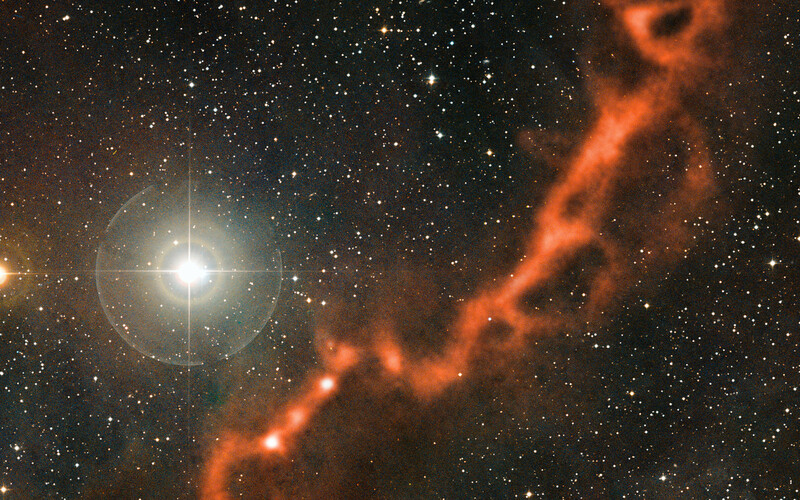 The bright star above the filament is φ Tauri.